this information however requires understanding what it shows us. review how to read ACLS rhythm strips. as well as the heart rhythm regularity. services you will be able to provide before it is too late. understand the basics and build your understanding through experience. Because medicine is adopting the most advanced technologies and is an ever-changing science they continue education is very important for nurses. As changes in treatments and therapies are adopted and new medical information is gained through research and clinical studies, nurses need to continue update their medical knowledge. EKG testing is an area important for the generalist nurse as well as for those employed in cardiology departments. For this reason all nurses would need to regularly upgrade their knowledge on the ECG testing. · Describe the normal cardiac physiology and anatomy. 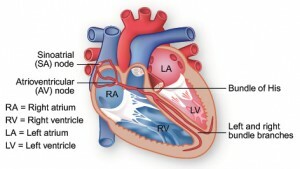 · Name and discuss the heart’s important anatomical structures that relate to EKG. · Perform satisfactorily on an objective EKG examination. · Identify normal EKG waveform, measure and analyze each segment and wave. · Recognize the most dangerous arrhythmias that could be dangerous to a person. · Identify cardiac medication and their uses. · Know the two most frequently used treatments for heart arrhythmias. · Increased trust from colleagues and physicians in monitoring the patients. · Increased levels of competence in caring for your patient. By learning the mat erial presented in the EKG course at UnderstandingEKG.com nurses will master the various ways of understanding and reading an EKG strip. Nurses can also get 11 contact hours with this online clinical telemetry course. The course has the purpose to provide licensed nurses information on how to provide care for patients in a clinical telemetry setting and how to interpret EKG readings. The training program was designed for all licensed nurses, with a focus on specific telemetry areas such as basic telemetry hospital units, surgery, ICU, endoscopy, special procedures, and interventional radiology. Each wave on the EKG is related to electrical impulses. When these electrical impulses stimulate the heart muscles, blood is ejected from a chamber of the heart. 1. The inside and outside of the heart cell membrane are bathed in fluid. 2. This fluid is made up of an electrolyte solution that is carrying positive and negative ions. 3. Between ions of opposite polarity will flow an electrical current. 4. The extracellular fluid is mostly positive when cells are at rest. That means that no electrical current will flow. 5. Current will flow when the cell membrane is stimulated. 6. At all times positive ions of K go in and out freely. 7. The positive ions of K are limited to the outside of the cell. 8. The negative chargers inside the cell and diffusion gradient change attract positive ions of NA to enter cell’s interior. The EKG course will also refresh the information about the electrical conduction system of the heart. This system includes the intermodal atrial conduction tracts, sinoatrial node, atrioventicular node, interatrial conduction tract, bundle of HIS, Purkinje network, and the right and left bundle branches. The bundle of HIS and the AV node from the heart’s AV junction. The Purkinje network, the right and left bundle branches, and the bundle of HIS are also called the HIS-Purkinje ventricles system. The sole function of the heart’s electrical conduction system is to transmit electrical impulses from the SA node to the ventricles and atria. The course will also refresh the nurses’ knowledge about the electrical basis of the EKG. The electrocardiogram uses electrodes attached to the skin in order to provide a graphic record of the magnitude and direction of the heart’s electrical activity generated by the depolarization and re-polarization of the ventricles and atria. This graphic record can be used for evaluating if the heard presents a normal EKG or for interpretation of arrhythmias. The EKG paper shows time intervals as well as the measurements of each block on the paper. By counting blocks up and down on the EKG paper it is possible to make a fairly accurate measurement of a patient’s heart rate. Amplitude of the electrical activity of the heart as well as time sequences is recorded on the EKG paper. Other measurements on the EKG paper used in diagnosis of heart conditions are the P Wave, the QRS Complex, the T Wave, the U Wave, and the EKG Leads. All these aspects are detailed discussed in our course. So, here at the UnderstandingEKG.com education center, we like having fun too. Have you seen on YouTube video that shows a doctor demonstrating the cardiac rhythms? Sudden cardiac death (SCD) is usually associated with physical activity like sports. This, many times, causes us to ponder how “healthy” exercise really is. And, yes, exercise has been shown to be a trigger for MI and sudden cardiac death, but routine exercise actually protects against it. Sudden cardiac death is rare in people under 35 years old, but it does occur and here’s why. Over 60% of SCD’s are caused by a heart abnormality that leads to ventricular fibrillation (the uncontrolled quivering of the ventricles of the heart). Specifically, there are several abnormalities that can occur. Hypertrophic cardiomyopathy: This is the most common cause of SCD in people under 30 years old and in athletes. In hypertrophic cardiomyopathy the heart muscle becomes thick, making it harder to pump blood. The normal alignment of heart muscle cells is disrupted and the heart’s electrical functions do not all work properly. It often goes undetected and has no symptoms until the SCD occurs. Coronary artery and heart muscle abnormalities: Sometimes the coronary arteries or heart muscle form incorrectly in utero. This may cause the arteries to become compressed during exercise, blocking blood flow to large portions of the heart muscle. Some of the more subtle abnormalities may not cause any symptoms. They remain undetected and allow full athletic development, then suddenly cause death during exercise. 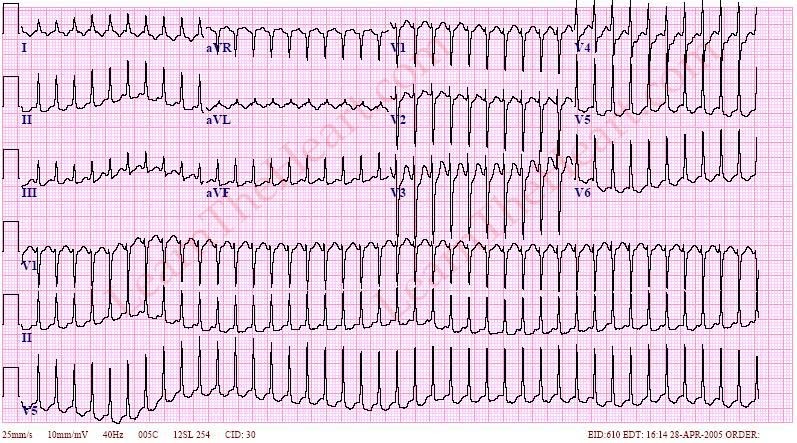 Long QT syndrome: This is rare, genetic issue. In this condition, ventricular repolarization is delayed leaving the heart in a depolarized state and open for stimuli. This increases the risk of episodes of Torsades de Pointes- a type of polymorphic ventricular tachycardia that cannot sustain a pulse. Brugada syndrome: An genetic disease that causes electrical issues in the heart leading to ventricular fibrillation. Commitio cordis: This involves no abnormalities… just bad timing. It occurs usually during sports when the chest is forcefully struck with an object (i.e. football, hockey puck, etc) at just the wrong time, causing the heart to go into ventricular fibrillation or ventricular tachycardia. Young People Get Arrhythmias Too? It is rare for young people experience cardiac arrhythmias, but it does occur. Many times it comes about in their late teens or twenties when they are most active with sports, activities, etc. 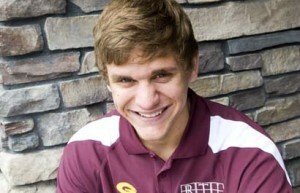 This is the issue that young athlete Rhett Lindholm had. Rhett dealt with SVT for years. There are two main types tachyarrythmias found in young people: AV Nodal Re-entrant Tachycardia (AVNRT) and Wolff-Parkinson-White (WPW). In cardiac conduction system, the AV node is the gateway, the traffic cop, in the electrical pathway between the atria and ventricles. It controls what signals get through and how fast. In AVNRT, an extra electrical pathway forms and allows an electrical signal to travel backwards through the AV node at the same time. This causes another heartbeat. The two pathways create a continuous electrical signal in a circular pattern called “re-entry”. The extra pathway that forms comes from tissue that behaves very much like the AV node. 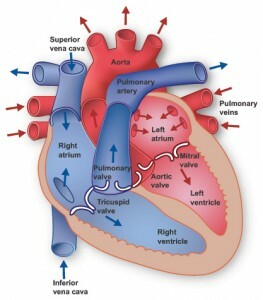 It is geographically located in the right atrium close to the AV node. This arrhythmia can cause heart rates 160-220 beats per minute. AVNRT is most common in women. In fact, 75% of the AVNRT cases occur in females. It also is most common in the 20’s and 30’s. Symptoms of AVNRT include syncope or near syncope, faint feeling, lightheadedness, and palpitations. AVNRT appears on the EKG as a narrow QRS complex tachycardia. The retrograde (re-entry) conduction occurs at the same time as the ventricles beat. 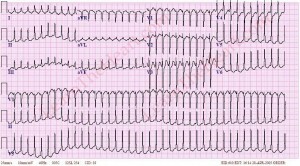 Therefore, its P wave will often be hidden by the QRS complex. Treatments for AV Nodal Re-entrant Tachycardia usually focus on any action that can transiently block the AV node like vagus nerve stimulation techniques including carotid sinus massage and valsalva maneuver. Medications like adenosine, B- blockers, and Ca-channel blockers and procedures like electrical cardioversion and ablation are also sometimes used. Unlike AVNRT where the extra electrical pathway occurs at or near the AV node, in WPW it is directly from the atria to the ventricles. These extra pathways cause the signal to get to the ventricles too fast and the signal is then sent back to the atria creating another electrical loop. Patients that have the extra electrical pathways that occur in Wolff-Parkinson-White syndrome are born with them. This syndrome affects patients of all ages, including infants. However, symptoms often first occur in their teens and 20’s. Patients with WPW are also more likely to develop other arrhythmias later in life like atrial fibrillation and ventricular tachycardia. Wolff-Parkinson-White syndrome symptoms include dizziness, syncope, and palpitations. Patients with WPW can also fatigue easily with exercise. WPW can be easily fixed with a procedure called ablation. There has been an unprecedented rise in the occurrence of heart attacks or cardiac conditions among many people across the globe. Heart attack symptoms range widely from mild, heartburn-like chest pain/pressure to intense, crushing, elephant-sitting-on-your-chest pressure. When people experience this it is imperative to any medical center where tests are run to figure out whether there is possibility of a cardiac arrest. Once in a medical facility, an EKG (Electrocardiogram), a non- invasive test that determines the electrical signals of individuals’ hearts will be done. Presently, an EKG test takes only about fifteen minutes to give the results. However, when the test shows that a patient does not have signs of a heart attack; several other diagnostic examinations are done. This can take a period of thirty six hours to find out the cause of the chest pain. Regardless of heart attacks being a common phenomenon, it is great news that it is also preventable. Sometimes it is inherited and other times it is mainly due to the lifestyles that people have adopted. Since a standard of living is subject to change, choosing a healthy way of life is vital for the well being of the heart. Below are steps people can take toward implementing a healthy living style focused on having a fit heart. Assessing individuals’ chances of having the condition is the first step in preventing its occurrence. Making contact with a cardiovascular doctor facilitates this as he or she can evaluate risks depending on hereditary risk factors. Relying on the results, individuals will either consider making changes to their lifestyle or find ways of improving their heart health. Alcohol and cigarettes are among the highest risk factors for developing cardiac diseases. People who consume these drugs are six times more likely to develop heart problems as opposed to their counterparts who do not use them. Continued use of the same increases the rate of heart attack occurrence. Hence, avoiding for non users and quitting for users is necessary. Eating healthy foods such as fruits, vegetables, lean proteins and whole grains provides the body with vitality against cardiac conditions and diseases. Individuals also should avoid taking foods with high levels of cholesterol and salt, processed food, and “junk foods”. It is important that before anyone purchases food from grocery stores, a look at the label will help in making a wise choice on what to buy. Maintaining a healthy body weight is essential in reducing individuals’ risks of having heart attack. It is evident that majority of people with excessive pounds are the prime candidates of cardiac related conditions. Apart from eating healthy, engaging in aerobic exercise also facilitates a decreased risk. Everyone has to endure stress that comes from their daily encounters. However, individuals ought to develop mechanisms to dealing with stress so as to make sure it does not take a toll on them. Speaking to a friend or counselor may go a long way in helping avoid suffering a heart attack. People suffering from these diseases are highly susceptible to experiencing heart attacks. Proper management of these conditions by taking prescribed dosages and living healthy places patients in a better position to evade any occurrences of cardiac failures. Working on these guidelines is will help individuals take a closer step toward healthy living. 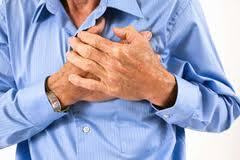 Individuals ought to be alert so that any chest pain is not ignored. Bundle Branch Blocks. How dangerous are they? When we sit in a doctor’s office, we tend to hear a lot of medical terminology that we may not understand. This can be especially frightening when we are in the cardiologist’s office. One of the terms we might hear is “bundle branch block”. A bundle branch block is a heart condition wherein there is a delay along the electrical pathway that makes the heart beat. A blockage along this pathway can happen on either the right side or the left side of the heart. These obstacles can make it more difficult for the heart to effectively pump blood through the circulatory system. What are the causes of a bundle branch block? The underlying causes for these bundle branch blocks can differ, depending on whether you have one on the right or left side. What are the effects – how dangerous are they? It can be difficult to give a proper diagnosis with just this one piece of information. Sometimes your doctor will perform additional tests in order to give them a better picture of what is happening. If there are no other symptoms, the risks of this particular condition are small. It mostly depends on the underlying causes of the block. If the block is caused by a serious heart condition such as a heart attack, that can be more concerning. If the block is caused by a manageable condition such as high blood pressure, then it can be less concerning. Your doctor will keep watch because if you also develop a bundle branch block in the opposite side, he will most likely want to put in a pacemaker in order to regulate the electrical impulses. When you do hear these frightening terms, remain calm and make sure to get all the information you can from your doctor. They will help you navigate the management options for your particular situation. Congestive Heart Failure- How Serious Is It? About 5.7 million people in the United States have heart failure, and the number is growing. About 50% of people die within 5 years of getting the diagnosis. It contributed to about 280,000 deaths in 2008. Occurs more in men, African-Americans, and people age 65 an older. Actually, CHF is the #1 reason for hospital stays in that age group. 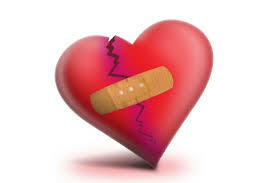 Causes: Any condition that damages heart muscle can lead to heart failure. The three leading causes are coronary artery disease (leads to heart attacks), hypertension, and diabetes. Other causes include cardiomyopathy, diseases of the heart valves, arrhythmias (including atrial fibrillation), congenital heart defects, cancer treatments like chemotherapy and radiation, thyroid disorders, HIV/AIDS, alcohol abuse, and illicit drug abuse (i.e. cocaine). Signs and symptoms: These depend on the side of the heart affected. 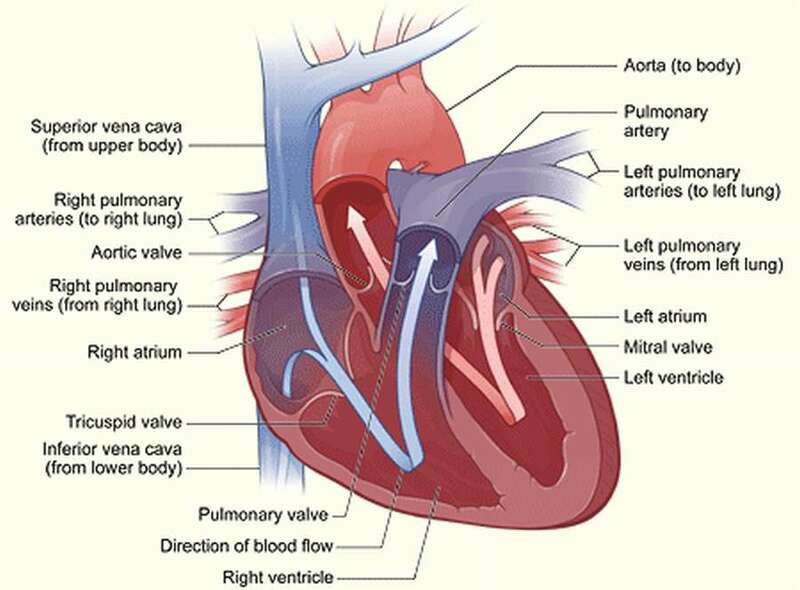 The inability of the heart to pump properly causes blood to back up into where it came from (right side—blood backs up into the vena cava, left side—the lungs) and insufficient blood flow to where it is supposed to go (right side—the lungs, left side—the rest of the body including the coronary arteries and the kidneys). Right-sided heart failure includes peripheral edema, ascites (fluid accumulation in the abdominal cavity), enlarged liver, juglar vein distension, weight gain, and frequent urination. Left-sided heart failure includes pulmonary edema (fluid in the lungs), cough at night, shortness of breath with exertion, orthopnea (shortness of breath depending on a person’s body position), and fatigue. Treatments: If possible, treat the underlying cause of the heart failure, for example, coronary artery bypass graft surgery (CABG) or valve surgery. Lifestyle changes like a low salt diet, weighing oneself daily, restricting the amount of fluid intake, and exercise will also help manage this condition. Medications: The following medications are used to treat CHF: diuretics—to reduce fluid buildup therefore reducing preload (the amount of fluid going into the heart), ACE inhibitors—to lower blood pressure and decrease afterload (the amount of pressure the heart muscle has to work against to pump out the blood), Beta-blockers—to lower heart rate and blood pressure to decrease afterload, and Digoxin—to allow heart to beat stronger and pump blood more efficiently which increases cardiac output (the amount of blood the heart is able to pump out with each squeeze). If the above do not work and the CHF worsens, heart transplant or mechanical heart pump may need to be considered. Afib, short for atrial fibrillation, is a cardiac arrhythmia originating in the atria of the heart. It occurs when the atria, the top chambers of the heart, quiver or “fibrillate” instead of squeezing and pumping normally. 80% of the blood in the atria usually passively falls into the ventricles when the bicuspid and tricuspid valves open. But because, in afib, the atria quiver and don’t squeeze, the blood does not get that extra push it usually would with the atrial squeeze. This is referred to as loss of the “atrial kick”. Many times atrial fibrillation has no symptoms at all and it is incidentally picked up when a routine EKG is performed. 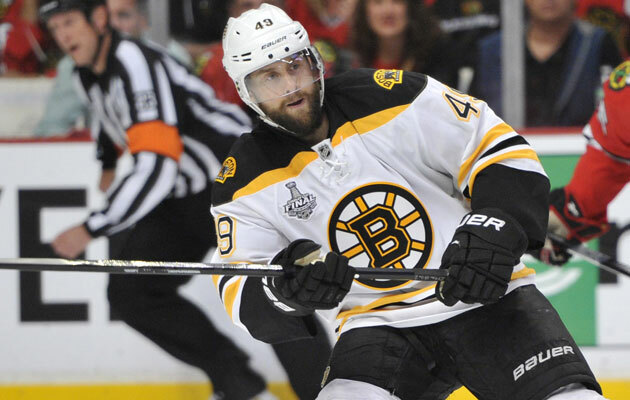 This is how hockey player Dallas Stars’ center Rich Peverly found his afib recently. Atrial fib shows up on the EKG as an irregular heartbeat with fibrillating lines and waves where the P waves should be. It can be a slow rate or a fast rate depending on how frequently the ventricles respond to the stimuli given off by the atria. If they respond more frequently, the rate can become very fast and turn into atrial fibrillation with rapid ventricular response of afib with RVR. Depending on how fast the rate is, the condition can become serious and need a medical intervention. Other symptoms of atrial fibrillation: heart palpitations or “fluttering”, dizziness, faintness, syncope or passing out, and chest pain. If someone goes on with untreated afib for a long time they may begin to show other symptoms like shortness of breath, inability to perform activities they usually could due to fatigue, and lower extremity swelling. There are several cardiovascular diseases and/or conditions that atrial fibrillation is linked to and associated with, including: high blood pressure, coronary artery disease, mitral valve issues, pericarditis, congenital heart disease, previous heart surgery. Some lung diseases are linked also, including pneumonia, lung cancer, pulmonary embolism, and sarcoidosis. Atrial fib has also been linked to hyperthyroidism and family history of afib. Several complications can arrive from atrial fib. The first being the heart rate fluctuation and irritability discussed earlier. It also causes turbulence of the blood inside the heart’s atria. The body sees this turbulence as almost like an injury and sends platelets there. This accumulation of platelets causes clots to form in the atria. These clots then get pumped through the heart and can get sent to the lung causing what’s called a pulmonary embolus or the brain causing a stroke. Another complication of atrial fib, if left untreated for a long time can lead to congestive heart failure- this causes the symptoms mentioned earlier including the swelling, shortness of breath, activity intolerance, etc. Atrial fibrillation is a manageable condition, depending on the case, as each person is different. As far as management, there are a number of medications to help control the heart rate and even the rhythm. These include drug classes like Beta-blockers, calcium-channel blockers, and cardiac glycosides. A person with chronic atrial fib may also be put on a form of anticoagulant like Coumadin, Plavix, Aspirin, or Lovenox to help keep their blood from clotting too easily in order to prevent stroke or pulmonary embolus. Another way to treat and sometimes get rid of afib is to use cardioversion. 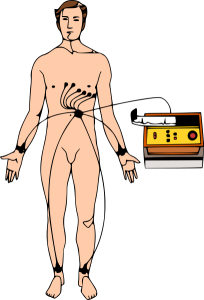 Cardioversion can be done electrically using a machine the mildly shocks the heart back into a normal rhythm using its sinus node instead of the atria to pace the heart and send the signals (this is how Rich Peverly treated his) or it can be done chemically using medications that do the same thing.